This is a wonderful scent bottle. 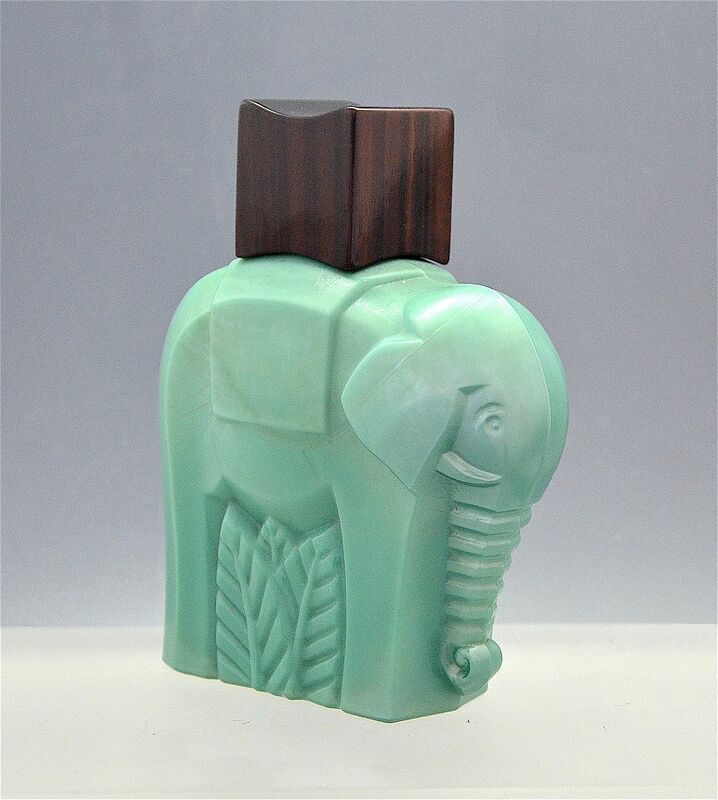 Made during the Art Deco period and probably in France it is made of moulded green glass in the shape of an elephant. The polished macassar ebony top is shaped like a howdah. The base of the scent bottle is "signed" but I cannot decipher the moulded words.